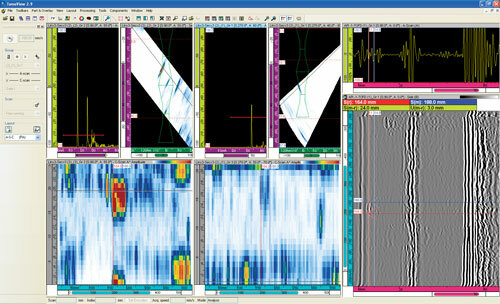 TomoView™ is a PC-based software for data acquisition and visualization of ultrasonic signals. Configuration of ultrasonic parameters is flexible and different views can be displayed ensuring it can be used in a large variety of applications from industrial needs to research purposes. TomoView is designed to perform ultrasonic testing (UT) data acquisition with several Olympus phased array (PA) or conventional UT units. Compatible with Microsoft Windows, XP, Windows Vista, and Windows 7, TomoView can run efficiently on standard laptop computers as well as on high-end desktop workstations, and it is capable of handling large data files (up to 1 GB). Furthermore, its ability to read OmniScan® (.oud, .opd) data files and its user-friendly reporting capabilities make TomoView an ideal tool for interpreting OmniScan data. Layouts are a fundamental element of TomoView. They allow you to view data in different representations. TomoView is available with predefined layout files, but you can go further by creating your own layout that can be easily modified, saved, and loaded for rapid retrieval during inspection or analysis. The individual views can be customized through contextual menus (right-clicking their title bar) for more flexibility. In addition to generic graphical features such as measurement cursors, zooming, and color-palette modifications, TomoView provides powerful tools available at the click of a button. Such tools answer different needs depending on the inspection you are performing. Examples of the tools are: Fast Fourier transform (FFT), Signal-to-Noise Ratio (SNR) Analysis Utility, PA Calibration, UT Settings, and Mechanical Settings. The TomoView Manager is arguably TomoView's most useful component. It is used to add, remove, or modify groups, switch between different groups and gates, access UT settings, and set up mechanical parameters. In addition, it is used to change view display properties. It also provides an interface that easily changes the global gain, as well as the A-scan and gate parameters. The TomoView™ Advanced Calculator is an essential and powerful component of the TomoView software package. This calculator precisely programs angle beams and focal points. Parameter entry is easy because the wedge, probe, and material data are already preprogrammed in the database. In addition, the graphical display of the resulting beams and angle beams provides you with an important validation tool. Sectorial-scan focusing at a constant sound path. Probe, wedge, and part database for easy definition of all relevant parameters. For each beam, near-field depth and angular deflection values are computed. You can therefore verify if appropriate focusing is possible. 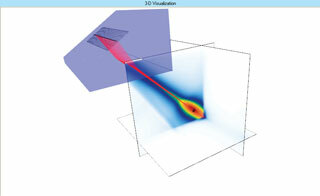 The Acoustic Field Simulation Module is available as an option in the Advanced Calculator. It is used to simulate spatially diffracted fields in 2-D or 3-D. This component is particularly useful when defining new inspection techniques. The Advanced Calculator can be used as a standalone software but the results can be later imported into TomoView, allowing you to work on your inspection technique with no instrument connected. Probe and wedge drop-down list boxes are used to quickly configure the beams. In addition, the probe and wedge reference tables can be edited and user-defined in order to add additional probes and wedges. TomoView™ is designed to perform UT parameter setups and data acquisitions with most Olympus conventional and phased array UT systems. Simultaneously calibrates all beams in a group for sensitivity, time-corrected-gain (TCG), and wedge delay with the PA Calibration tool. Computed DGS curves for conventional UT probes (dual probes, angle probes,and contact probes) as well as certain specific PA probes from Olympus. 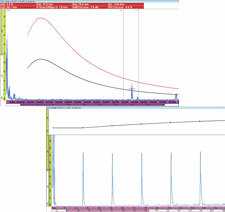 The DGS curves allow you to size indications based on amplitude only. Corresponding TCG curves can easily be generated from DGS curves. TCG curves can then be edited manually. parallel, offering up to a threefold increase in acquisition speed. Standard tools such as Crosshair cursors, Zoom tool with possibility to link views, gain information and software gain, 3-D cursor, Color Palette compression and edition are available. Probe beam and scanner parameters are editable in Analysis mode to account for operator error during acquisition (no rescanning necessary). Template layout displays provide different ways to view data. Switch between up to 10 user-defined layouts that can be created, modified, and saved to view data in many different representations. These layouts save view types, units, weld overlays, color palette, software gain settings, information fields in various views, etc. Display amplitude and time-of-flight C-scan using different color palettes. Information groups (readings)-various parameters related to a data group and/or a specific view. Available information is cursor positions, statistical calculations, probe settings, UT settings, file history, FFT, cylindrical calculation tools, etc. Processed data is saved in a companion file (.A01). Raw data integrity is never compromised. Multiple files can be opened and visualized in a single instance with TomoView. The Data-File Merge tool merges multiple files with various groups and/or beams into one single file. Hysteresis correction is used to eliminate the visible backlash in 2-D scanning (in conventional UT). The Volumetric Merge tool merges various acoustic beams. TOFD Manager - performs TOFD calibration, lateral wave straightening, lateral wave removal, and synthetic aperture focusing technique (SAFT). 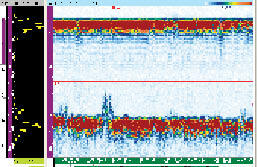 C-Scan Merge - merges interleaved C-scans based on minimum or maximum amplitude, or TOF. Signal-to-noise ratio (SNR) - On a C-scan or Top view, calculates and displays areas for which signal-to-noise ratio is higher and/or lower than a certain threshold. Reference area is selected with the Zone tool (pink cursor). TomoView is the perfect companion for the OmniScan family of instruments. Seamlessly import OmniScan files for advanced processing and analysis in TomoView. Import OmniScan® data files and display volume-corrected views as well as multiple B-scan views. Correct potential operator errors in acquisition parameters (incorrect skew, index offsets, etc.) by reading back raw acquisition data without altering original data. Import and merge several OmniScan data files. Merge several groups into one for easier interpretation. The NDT Remote Control library is a software development kit, which allows you to develop a special user interface for automated inspections using Olympus NDT instruments (phased array or conventional UT). From an external computer, the library can be used to directly control some functions of the TomoView™ software, offering a wide range of possibilities (Start inspection, Save data file, Reset encoder, etc.). The Data File Access library product is a software development kit, which allows you to read data files using a custom application. 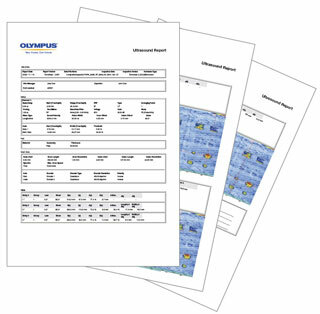 It is suitable for software engineers or researchers who need to develop special software for Olympus instruments' data visualization, processing, or reporting. The Data File Access library provides high-level access to data that normally prevents users from dealing with the complex architecture of the data files. 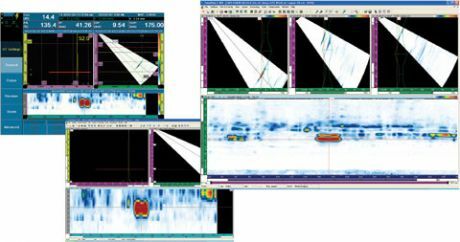 Data and all the parameters related to the data interpretation can be easily read (refracted beam angles, velocity, delays, offset, etc.). Both libraries are based on a COM interface, which allows you to perform related functions from different software environments (Microsoft Visual C++, Microsoft Visual Basic, LabVIEW, C#). 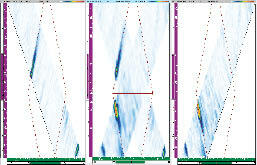 TomoVIEWER™ is a free Olympus NDT software for phased array and ultrasonic data viewing. This software can load data files generated by TomoView or OmniScan® PA and UT software. 1280 × 1024 resolution or higher.